Calgary, Alberta is a vibrant Canadian city located adjacent to the Bow and Elbow rivers in the province of Alberta. With a population just over 1.2 million, Calgary is the biggest city in Alberta and Canada's third-largest municipality after Toronto and Montreal. This exciting city pulls off quite a unique balancing act - managing to be both traditional and sophisticated at the same time. The annual Calgary Stampede is just one example of the city's traditions, with world-class shopping and entertainment areas highlighting the modern face of this great city. 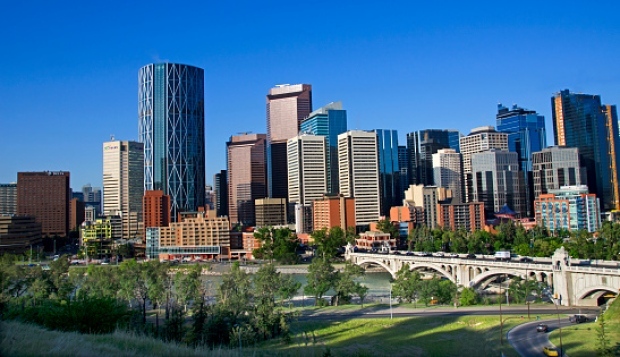 Calgary is in a transitional geographical area between the Canadian Prairies and the Canadian Rockies, within the foothills of the Parkland Natural Region and Grasslands Natural Region. This makes it a great launching pad for some of the most breathtaking mountain scenery on the entire planet. Calgary is comprised of a bustling downtown region, a number of inner-city and established communities, and a sprawling suburban area. There are over 180 distinct neighborhoods within the city limits, from the Downtown Commercial Core though to the outlying communities of Sundance and Riverbend. Calgary is an economic and cultural hotspot, with a strong performing economy and more millionaires per capita than any major city in Canada. From energy and financial services through to film, retail, and tourism - Calgary is both well-rounded and successful. Cultural activity in the city has picked up lately, thanks in part to the increasing popularity of condos across downtown and inner-city areas. The real estate sector in Calgary is expected to hold steady in 2018, as improving economic conditions help prices to rise despite higher interest rates and tighter mortgage rules. Calgary condominiums continue to create great opportunities for clever investors, with the price of apartments in the city having cooled 4 percent in 2017 and almost 6 percent in 2016. Calgary is a neat and orderly city that is divided into four quadrants. The quadrant where a place is situated is reflected in its street address, which ends in NW, SW, SE or NE. This makes it very easy to navigate around the city and find the best places to hang-out. Each neighborhood in Calgary has its own charms, with downtown areas typically more expensive and suburban areas featuring newer and larger homes. Unlike other cities of its size, most Calgary residents live in detached dwellings rather than high-rise apartments, although this is slowly starting to change. Varsity is located the Northwest quadrant of the city, with this developed neighborhood mostly composed of single-detached dwellings. Varsity recently took out the top spot in a survey released by Avenue to identify the best neighborhoods in Calgary. Avenue worked with research and marketing company Leger to identify the positive characteristics of different city areas. Varsity was recognized for its expansiveness, park spaces, and easy accessibility to downtown. Beltline was second in the Avenue survey, although for very different reasons than Varsity. Beltline is a hip and vibrant downtown area full of restaurants, nightlife, and yoga studios. What makes this neighborhood especially great, however, is the inclusion of parks and green spaces within the hustle and bustle. While this busy neighborhood will not suit everyone, Beltline symbolizes the new urban Calgary lifestyle. Eau Claire is located just north of Calgary Downtown, with this exciting neighborhood packed to the brim with shopping, restaurants, hotels, and a large public plaza. Much like Beltline, Eau Claire also features a large and much-loved urban parkland. 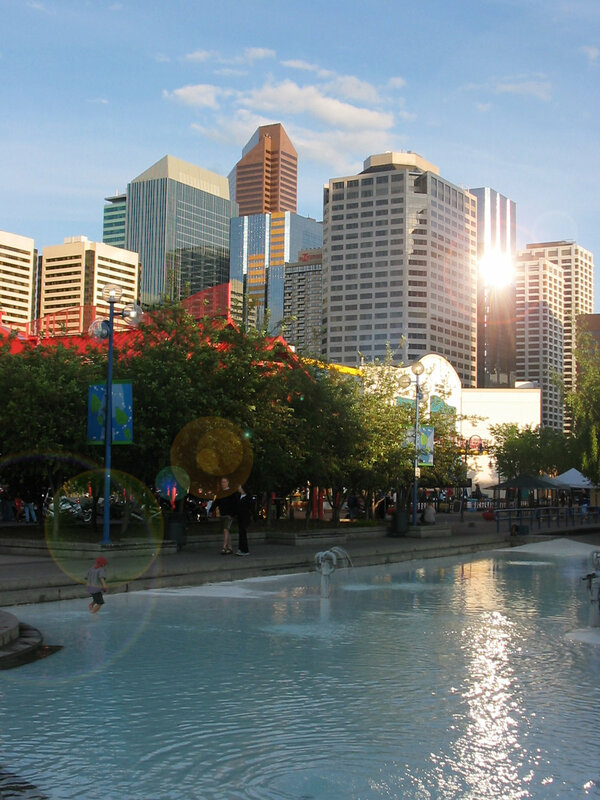 Summer is the best time to explore this great neighborhood, especially if you attend one of the great summer festivals such as the Calgary Folk Music Festival, Carifest, or Shakespeare in the Park, and in the winter you can enjoy public outdoor skating on the frozen river. Huntington Hills is located between Deerfoot Trail and Nose Hill Park, with this neighborhood ranked high in the Avenue survey due to its family-friendly recreation facilities. From great playgrounds and a fantastic skatepark through to schools and libraries, this part of Calgary is ideal for anyone who wants to have fun with their kids. Arbour Lake is a beautiful location in the Northwest quadrant of Calgary, where a vibrant community enjoys the wonders of lakeside living. This residential neighborhood was only established in 1992, making it one of the newest suburbs in the city. Arbour Lake offers a high level of community engagement, great schools, and easy access to the city and mountains. This part of town is vibrant and full of fun, with Bridgeland-Riverside residents enjoying a wealth of amenities and attractions. Formally known as Bridgeland and Germantown, this neighborhood is located in the immediate northeast of downtown Calgary. The community here is mostly residential, including a mix of parkside condos and single-family houses. Bridgeland-Riverside is home to fantastic restaurants such as Shiki Menya, Tazza, and Blue Star Diner. When it comes to accessibility, you can't beat the Commercial Core of Calgary Downtown. This bustling urban metropolis features great shopping, plentiful restaurants, and fantastic arts and cultural attractions. Along with the Contemporary Calgary gallery and Arts Commons performance hub, residents and visitors can also enjoy summer festivals such as the Calgary Folk Music Festival and Shakespeare by the Bow. Crescent Heights is an ideal location in many ways - close enough to downtown amenities and transportation but far enough away to offer a great view of the city skyline. This neighborhood is home to McHugh Bluff Park and lies just north of the Bow River. According to the City of Calgary's 2012 municipal census, roughly ten percent of the buildings in Crescent Heights are condos or apartments, with 7 percent of all housing used for renting. Evanston is a residential neighborhood in the Northwest quadrant of Calgary, with this area incredibly modern having only been developed in 2007. Evanston is one of five communities located within the Symons Valley area; along with Kincora, Nolan Hill, Sage Hill, and Sherwood. This neighborhood is located close to Nose Hill Park and Stoney Trail, with easy and quick access provided to the Calgary International Airport. Calgary West End is a vibrant and high-density community, with this residential neighborhood located close to a number of restaurants and entertainment attractions. Shaw Millennium Park and Mewata Armouries are located in the western part of this neighborhood, offering great walking and bicycling paths. This part of the city is made up mostly of condominiums and apartment buildings, with only 25 detached homes remaining in the neighborhood. The Calgary real estate market had a slow year in 2017, with prices largely subdued and sales numbers still well below the long-term average. Alberta's recent economic recession had a huge impact on the market, which is only now starting to show new signs of life. While the local economy is expected to continue its recovery in 2018, the property market will face ongoing challenges due to tougher mortgage qualifications and higher interest rates. The Conference Board of Canada projects 2.13 percent employment growth and 2.46 percent GDP growth in the Calgary census metropolitan area in 2018. While more stability in the market is expected thanks to rising employment and migration numbers, residents can expect downward pressure to remain on property prices during the slow recovery period. According to a forecast recently released by the Calgary Real Estate Board (CREB), higher rates and different mortgage qualifications will offset the improved economic conditions. The Office of the Superintendent of Financial Institutions changed the mortgage rules in October 2017, with the stress test originally applied to high-ratio loans now extended to all uninsured mortgages. Borrowers now need to qualify at the higher figure of the Bank of Canada's five-year benchmark rate and two percent above the contracted mortgage rate. While this offers new challenges to investors, the subdued state of the market also provides a number of exciting opportunities. According to CREB, single-family homes are the only individual segment expected to see slower sales this year, with condos and other multi-family developments likely to see much more activity. CREB has forecast a 0.13 percent drop in prices over 2018, following on from a price decrease of 0.17 percent in 2017 and 3.73 percent in 2016. Apartments are expected to drop more than detached houses, with a one percent drop expected from the benchmark price of $257,700 last year. Condo activity in some Calgary neighborhoods is already on the rise, with buyers taking advantages of low prices and new opportunities. The southeast is especially popular for apartment-style condo living, including the established neighborhoods of Ogden and Riverbend and the new community of Cranston. According to CREB, apartment sales in Ogden jumped 68 percent in the first ten months of 2017, with Riverbend’s up 32 percent and Cranston's up 14 percent. Southeast Calgary and northwest Calgary are both experiencing a sharp rise in condo activity as developers forecast renewed interest from investors who want to get in on the ground floor. While condos make fantastic homes and provide a great opportunity for investors, they also offer a number of unique challenges. From the early stages of research through to the later stages of analyzing and closing a deal - let's take a look at all of the important steps you need to take before diving into the deep end. It's no use doing countless hours of research and house-hunting if you don't have a working budget. Mortgage pre-qualification is essential, with lending criteria largely based on the relationship between your income, debts, and credit history. When banks offer official pre-approval, it's generally in writing, valid for 90 days, and includes a guaranteed interest rate. Getting a mortgage in Calgary can be challenging thanks to the new mortgage rules introduced in October 2017. What kind of apartment are you looking for? What are your preferred locations? How much are you willing to pay in maintenance fees? All of these questions and many more need to be answered before you start hunting for a Calgary condominium. When making a wish list, you need to evaluate your preferences with regard to your financial constraints. Whether it’s the location, the apartment size, or the building structure - most people need to compromise somewhere along the way. It's also important to remember that condo buyers have three choices: new condos, resale condos, and conversion condos. Regardless of how detailed your wish list is or how much research you've done on your computer, the importance of groundwork can never be underestimated. It's often a good idea to develop a working relationship with condo developers and real estate agents - professionals with enough experience to provide valuable insight and working knowledge into local areas, so you can find as many condos for sale as you need. It's important not to rush this stage. Hunting for a Calgary condo can be a time-consuming process involving online research, apartment previews, and lots of paperwork. It's important to research condo developers carefully before laying down a deposit, including things like reputation, experience, and financial forecasts. What is the history of the company? Have there been any documented problems with similar projects? It's also important to look at the building's history and physical condition, with a home inspector able to give you a detailed report. Once you have your eyes set on a particular building or project, it's time to start thinking about the future. When it comes to upgrades, buyers often underestimate their negotiation power at this early stage of the process. Calgary condos operate under a different structure than houses and regular apartments. It's important to understand that a condominium is a form of legal ownership rather than a style of construction. While Calgary condominiums are often high-rise condo buildings, they can also be townhouses, duplexes, or even detached houses. When you purchase a condo, you also share ownership of common areas and common assets of the community. Maintenance fees are a big part of condo living, so make sure you budget for these condo fees when comparing purchase prices. If you're looking at pre-construction condos, it's also important to think about deposit structures and time lines. Carlisle Group is devoted to modern, low-rise condominiums that cater to the entry level and down-sizing market. Carlisle has developed a number of exciting projects across Calgary, each with contemporary interiors at a competitive price point. CEO Randy Klapstein has over thirty years experience in the real estate industry, with his great team able to manage every aspect of construction and customer service. Calgary projects by Carlisle Group include Albert Park Station, Legacy Gate, Emerald Sky, and Skyview Landing. The Albert Park development epitomizes the Carlisle philosophy, with architects employed to design modern and energy efficient apartments. Albert Park is close to transportation corridors and retail stores, with this great project providing a maintenance free condominium lifestyle for people at all stages of life. Battistella builds better lives one condo at a time. The Battistella family has been transforming inner-city living in Calgary since 1980, through a number of modern and architecturally designed homes. Battistella pride themselves on leadership, innovation, and creativity, qualities which helped them be awarded a Governor’s General Award in 1986. Past Battistella projects include Lido, Pixel, Colours, and Brunette. The current Batistella project, INK, lies in the heart of Calgary's East Village, a place known and loved by hip urbanites who are looking for a new and exciting way to live. INK features 119 modern apartment homes complete with a roof-top patio, all-season glass lounge, secure bike storage, dog wash station, and shared tool library. Streetside Developments build a range of condos, townhouses, and bungalows in and around Calgary. This innovative and award-winning development team pride themselves on trendy design and high construction standards. With over 25 years experience building contemporary homes in exciting locations, Streetside Developments promise to build memories for people at every stage of life. Prominent Streetside projects include The Townes of Redstone, The Loop in Evanston, Origins at Cranston, Hunter House, and Villas of Silverado. The Townes of Redstone provides a range of 3-5 bedroom town-houses with detached garages and landscaping. This innovative development features a new condo structure with no ongoing maintenance fees, which means you'll have more money in your pocket to do the things you love. Vericon provides smart designs, modern homes, and smart investments to Calgary residents. With a range of multi-family projects in the Alberta marketplace, Vericon is committed to the development of affordable and well-designed homes in targeted urban neighborhoods. Vericon pride themselves on timely and financially prudent construction that meets the needs of home buyers, tenants, and investors alike. While Vericon is relatively new on the scene, President Joe Fras has over 25 years of development experience. Vericon Real Estate Ventures have two current projects on the go in Calgary: LiFTT, and 43 Park. LiFTT features 39 apartments in the up-and-coming Renfrew neighborhood, with this project marketed to young urban professionals who want to live close to where they work and play. 43 Park was the company's initial foray into the condo market, with this project highlighting Vericon's vision for clean design lines and prime inner-city locations. Morrison Homes develop condos in Calgary and Edmonton, with this industry-leading home-builder promising a long history of quality and integrity. Morrison Homes has been around since 1961, which means over five decades of experience designing and building homes for the people of Calgary. With a variety of models and a huge selection studio, Morrison provides a level of customization that few developers can match. Prominent developments by Morrison Homes include The Ridge at Sage Meadows, Nolan Hill, Cornerstone, Belmont, and Legacy. The Ridge at Sage Meadows has been designed to enhance the northwest Calgary lifestyle, which provides an unmatched combination of modern convenience and natural beauty. This development features modern and family-friendly homes in one of the most beautiful locations in the city. Avalon Master Builder is one of the most experienced home builders in Calgary, with over 30 years experience housing the people of this great city. Avalon builds all over the city and has received a number of industry awards over the years. They pride themselves on building multi-family townhomes and condos with an emphasis on design, efficiency, and sustainable building practices. Past Avalon projects include The Zen Series, Emerge Homes, Outlook of Royal Mews, and Bourdeax in Cranston. Current projects include Glas, Zen Redstone, Zen Cranston Solar, and Zen in Ravenswood. Zen Redstone is an exciting new development featuring 56 two-storey townhomes with 2-5 bedrooms. M2i Development Corporation is a new condo developer in Calgary, with the company’s first project involving the creation of a new residential development within the city's oldest community. Located in Inglewood at a property that had previously been abandoned, the SoBow development was an exciting new design that respected the unique character and history of the area. The unconventional look and feel of the SoBow development made it unique in the Calgary condo market. SoBow offers many condos for sale, with value for money, an amazing natural location, and easy access to the downtown area. Fram + Slokker build residential urban communities in Calgary and beyond, through careful collaboration with town planners and community groups. With a combined 100 years of construction experience, Fram + Slokker pride themselves on environmentally friendly constructions that are affordable to purchase and built to last. Featured communities by Fram + Slokker include Flaire at Don Mills, FIRST, North Shore, Verve, Soul, and NOLA. Verve in Calgary is one the company's most luxury condo developments, with this contemporary design part of a master-planned community in Calgary's East Village. Designed by Cecconi Simone, this inspiring building offers all the best parts of modern urban living. Truman Homes has been building condos in Calgary for over 30 years, in which time they're produced a number of exciting urban developments. This well-respected company has won the award for Highest Customer Satisfaction Among Purchasers for three years in a row in Buyers Choice. Current multi-family condo for sale developments include The George, Legends, Gateway West District, Noble, and Orchard Sky. The George offers fully furnished rentals in the heart of Calgary at 17th avenue, a location surrounded by shops, entertainment venues, and other amenities. Trico Homes has been operating in Calgary since 1992, with over 9,000 quality single and multi-family homes developed over this time. Trico pride themselves on their passion and commitment, with innovative modern projects made to stand the tests of time. Complacency is not a problem at Trico, with this company always striving for growth and improvement in every aspect of design and construction. Prominent Trico projects in Calgary include Cornerbrook, Carrington, Nolan Hill, Beacon Heights, Legacy, and Legacy Commons. Cornerbrook is located at the heart of Calgary's Northeast district, with this project devoted to sustainable family living. With over a third of the community dedicated to green spaces through a central park, Cornerbook offers fantastic modern design in a beautiful outdoor location. Property tax in Calgary is billed annually, calculated according to the assessed value of each property and the currently approved council tax rate. Property tax bills cover the calendar year from January 1 to December 31, with tax bills typically mailed out by the first week of June each year. The deadline for tax payment is June 30, with a 7 percent penalty added to any unpaid balance. Calgary had the lowest average property taxes in Canada in 2017, at C$3,423 (US$2,690). Toronto had the highest property taxes at C$6,289 (US$4,946). The median property tax assessment for a single-family residential home in Calgary was $480,000 last year, compared to $460,000 the previous year. The median residential condominium assessment fell over the same period, from $270,000 to $260,000. The average homeowner in Calgary will see a 3.8 percent increase on the municipal portion of their property tax bill in 2018, which equates to an extra $71.40. Of this increase, 0.8 percentage points will allow for more Calgary police, 0.1 percentage points will be used to restore civic partners, 1.5 percentage points will cover the 2017 tax rebate, and 1.4 percentage points will take care of Green Line LRT financing. It's also important to note that there are several kinds of property tax in Canada, including multi-residential, commercial, and industrial, with new property buyers also needing to pay Land Transfer Tax. Maintenance fees are a necessary part of condo living in Calgary. While there are some new developments that promise no maintenance fees, the lack of ongoing fees is generally reflected in high sales prices. Most maintenance fee structures are based on the square footage of the unit, with condo owners also paying for the upkeep of common areas and common services. Maintenance fees are calculated by the Condo Corporation when it sets its annual operating and maintenance budget. Maintenance fees are designed to cover building operating costs, insurance, property maintenance, staff costs, and a contingency reserve fund. Some fee arrangements will include things like water and heat, so it's always important to do your homework first and work out exactly what you’re getting for your money. Higher maintenance fees generally reflect better amenities or services, such as underground parking, private parking stalls, in-suite laundry, walk in closets, storage locker area, floor-to-ceiling windows, granite counters, etc. Sometimes it also depends on what kind of floor plan you're looking for: how large are the master bedroom and the living room, how many baths you want in your Calgary condo, and how much do you really want those floor to ceiling windows. The fees are also bigger for smaller buildings and older buildings. Staff costs can be a big contributing factor to maintenance fees, including caretakers, pool cleaners, and administration staff. Maintenance fees are more substantial in smaller buildings because they need to be split up among fewer people, with older buildings more expensive because they require more work. Maintenance fees in Calgary can be anywhere from $0.40 per square foot to $1.00 per square foot or more. Q. What is a condominium? A. Contrary to popular opinion, a condominium is a form of ownership rather than a type of building. Condos can be high-rise buildings, low-rise buildings, townhouses, duplexes, triplexes, or single detached houses. Q. What are the different types of condos? A. Condominium buyers have three very different choices: a new condo, a resale condo, or a conversion condo. New condos are bought directly from the developer, sometimes during pre-construction or construction. Resale condos are bought from the current owner, often through a real estate agent. Conversion condos have been renovated for residential use and are typically purchased from the renovation company. Specialized agents can be used to help people find a better deal on pre-construction and renovation condos. Q. What do maintenance fees pay for? A. Condo maintenance fees go towards common property maintenance and common services. Depending on the building in question, this may include general operating costs, condo management costs, staff costs, insurance, and a contingency reserve fund. Fees may differ widely depending on the age of the building, the size of the building, and the number of facilities and services. Q. What are occupancy fees? A. Also known as "phantom rent", occupancy fees may be required from the time you move into a condo until the time it becomes officially registered. People living on lower floors may be able to pay lower occupancy fees if they can move in sooner. Q. What is a legal apartment? A. To be classified as a legal apartment in Canada, the condo needs to meet local re-zoning requirements, property standards, occupancy standards, health and safety requirements, and fire and electrical code. Q. What is a Condo Board? A condo board is an organization that is responsible for providing cohesion and preventing/resolving conflicts, when it comes to following the house rules in your Calgary condo building. The condo board steps in when the property manager may lack the authority to handle residents conflicts amicably. Q. Can I use my RRSP as down payment? A. According to the Canadian government's Home Buyers' Plan (HBP) people are allowed to borrow up to $25,000 from their Registered Retirement Savings Plan (RRSP) to use as a housing deposit. If you're interested in Calgary condos, find a condo buying expert today and start living your dream in this sophisticated and down to earth city.